On Thursday, Sen. [score]Ted Cruz[/score], R-Texas, addressed the Texas delegation at the Republican National Convention, and explained why he did not specifically endorse Donald Trump by name. The meeting was somewhat contentious, with one angry Trump supporter wondering why he didn’t honor his pledge to support and defend the nominee. Moreover, he said Trump knew well in advance that there would be no endorsement. “He didn’t ask me to endorse and, indeed, three days ago I talked on the phone with him and told him, ‘I’m not going to endorse you,’” he said. Reaction on Twitter was mixed, with many castigating Cruz for not openly endorsing Trump. But there were a number who agreed with his decision. Man, I can't believe Ted Cruz didn't endorse the guy who called his wife ugly, insinuated his dad helped kill JFK. No class! "Trump calls Cruz a liar, his wife ugly, and says his Dad helped kill JFK. 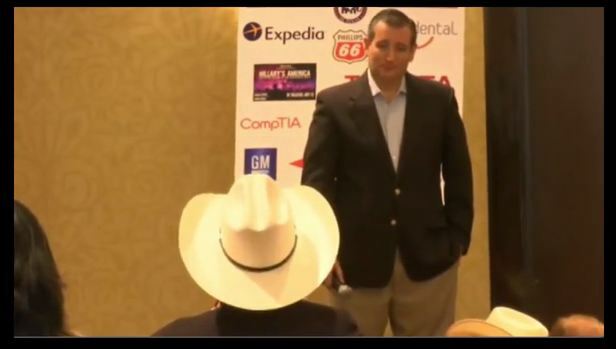 I think Cruz let Trump off easy" – The Great Frank Beckwith. What say you? Did Ted Cruz do the right thing or not? Let us know in the comments below.